On Saturday 17 February, the Cairo Symphony Orchestra conducted by Nayer Nagui will perform compositions inspired by jazz music. 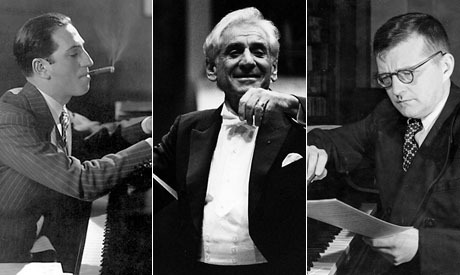 Dubbed "Jazz Inspirations", the programme includes George Gerswin's (1898-1937) American in Paris followed by his Rhapsody in Blue, as well as Leonard Bernstein's (1918-1990) symphonic dances from the West Side Story (1961), winner of a record-breaking 10 Academy Awards. The evening will close with Shostakovich's (1906-1975) famed waltz from the Jazz Suite no. 2, a composition that was premiered in 1938 by the State Jazz Orchestra of the Moscow Radio. One of the highights of the jazz orchestra's programmes, the waltz was particularily popularised when used as theme music for Stanley Kubrick's 1999 drama film Eyes Wide Shut. The soloist of the evening is pianist Ratko Delorko from Germany.